Almost a century before A Game of Thrones Audiobook, two unlikely heroes wandered Westeros… A Knight of the Seven Kingdoms Audiobook compiles the first three official prequel novellas to George R.R. Martin’s ongoing masterwork, A Song of Ice and Fire. Before Tyrion Lannister and Podrick Payne there was Dunk and Egg. A young, naïve but courageous hedge knight, Ser Duncan the Tall towers above his rivals – in stature if not experience. Tagging along with him is his diminutive squire, a boy called Egg – whose true identity must be hidden from all he and Dunk encounter: for in reality he is Aegon Targaryen, and one day he will be king. Improbable heroes though they be, great destinies lay ahead for Dunk and Egg; as do powerful foes, royal intrigue, and outrageous exploits. A Knight of the Seven Kingdoms Audiobook brings together for the first time the first three official prequel novellas to George R.R. Martin’s ongoing masterwork, A Song of Ice and Fire, set in an age when the Targaryen line still holds the Iron Throne, and the memory of the last dragon has not yet passed from living memory. Featuring more than 160 illustrations by Gary Gianni, one of the finest fantasy artists of our time, this beautiful volume will transport readers to the world of the Seven Kingdoms in an age of bygone chivalry. 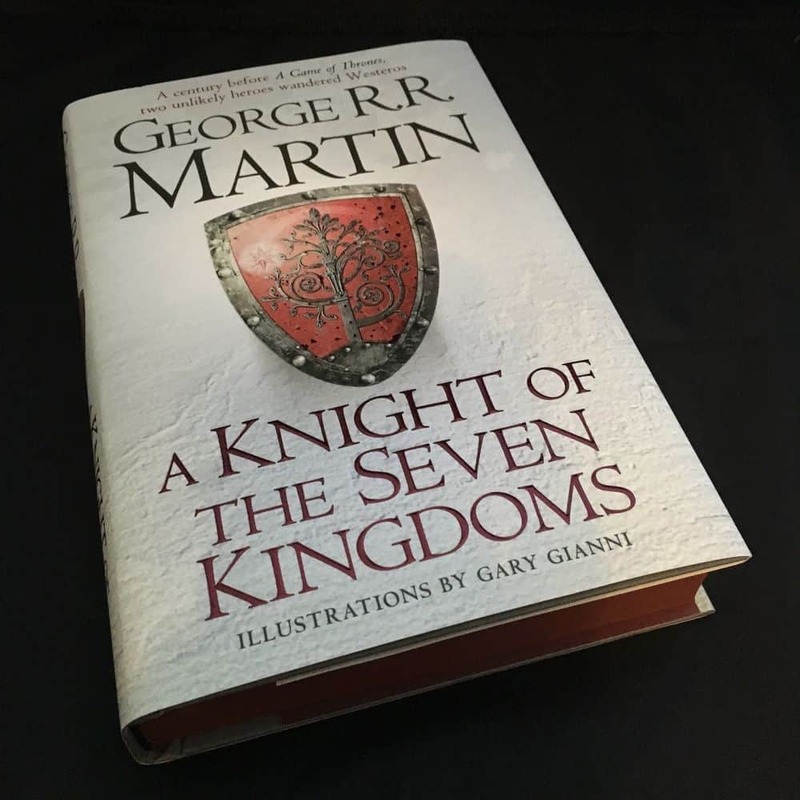 And there’s no better way to be introduced to the world of A Knight of the Seven Kingdoms Audiobook than through this clever and astute audiobook adaptation!